Your Ripon Dentist is Expanding to Meet Your Needs! For more than 20 years, Silver Creek Dentistry has been providing the Ripon, WI area outstanding dental care, and that’s not going to change. Just about everything else about our practice might be. As new patients join our practice family, we’re expanding to meet their needs. Our office space will be expanded, we’ve added a new dentist to our team, and extended our service options. We welcome new and existing patients to visit us as we expand. Our office will remain fully functional throughout the process. Call to schedule your appointment today, and check out our Christmas in July and other patient specials. 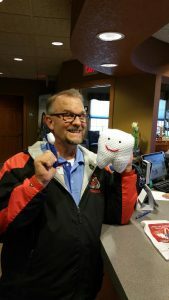 Residents of Ripon, WI have counted on Silver Creek Dentistry and Dr. Cristopher G. Johnson to provide superior dental health care in a friendly, relaxed environment for 25 years. As our office grows, we’ve been lucky enough to add Dr. James Hamman to our team. Dr. Hamman comes to us with nearly 2 decades of dentistry experience, and his skill and knowledge will add to our already excellent range of services. Specifically, Dr. Hamman has 13 years of experience utilizing CEREC same day dental restoration technology. CEREC can be used to create porcelain crowns, inlays, onlays, and veneers for patients in just one office visit. Silver Creek Dentistry is known for having a great team of dental care practitioners who are always willing to go above and beyond for our patients, and we look forward to continuing this tradition in our expanded facility where we can care for even more patients in the Ripon area. Our practice is conveniently located on W. Fond Du Lac St in the heart of Ripon, WI. Easily accessible for patients from surrounding areas via State Highway 23. Dr. Johnson has dedicated numerous hours of continuing education to expanding and updating his knowledge of the dental field in order to provide his patients with a wide array of dental health care services. Dr. Hamman has extensive education in numerous dental specializations including implantology and oral surgery. If you’ve ever heard the phrase, two heads are better than one, you know that even the best dentist could benefit from incorporating the skills and knowledge of a peer in dental practice, and that’s just what we’ve done at Silver Creek Dentistry. Dr. Hamman’s years of training and experience will greatly benefit our fantastic Ripon area patients by offering an even greater variety of superior services. Silver Creek Dentistry offers a variety of general, cosmetic, and restorative dentistry services to meet any of your oral health care needs. Whatever your dental care goals, we have the team to help you achieve them. We take pride in getting to know each patient, and helping to develop an oral health care plan that meets individual needs. Just because our office space is bigger, doesn’t mean we’re planning to change the welcoming, intimate atmosphere you’ve grown to love. Call to schedule your appointment today. Our Ripon, WI office welcomes patients from surrounding communities including Markesan, Fox Valley, Oshkosh, Neenah, Pickett, and Green Lake. Comments Off on Your Ripon Dentist is Expanding to Meet Your Needs!